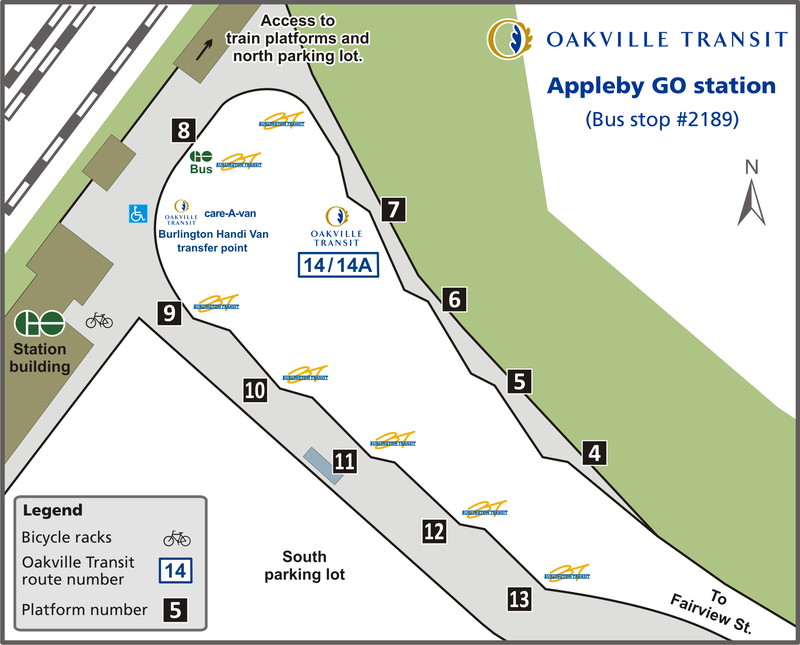 Station layout and designated bus bay locations at the Appleby, Bronte, Clarkson and Oakville GO Transit stations, South Common Centre in Mississauga, Sheridan College and the Uptown Core Terminal. 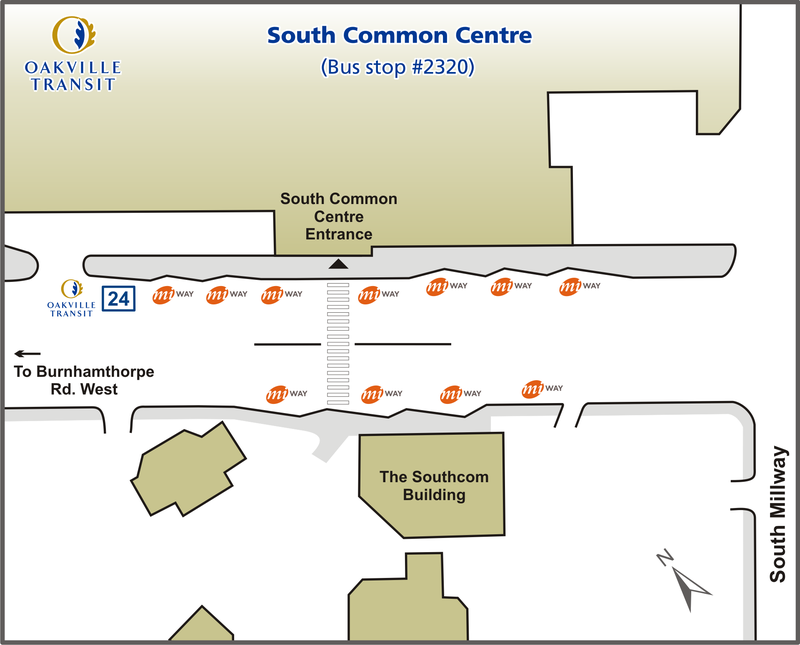 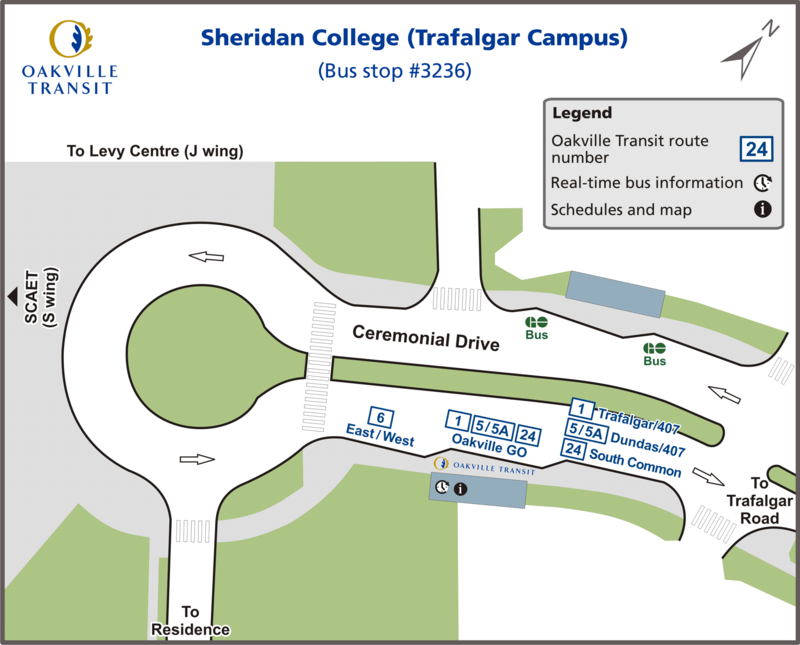 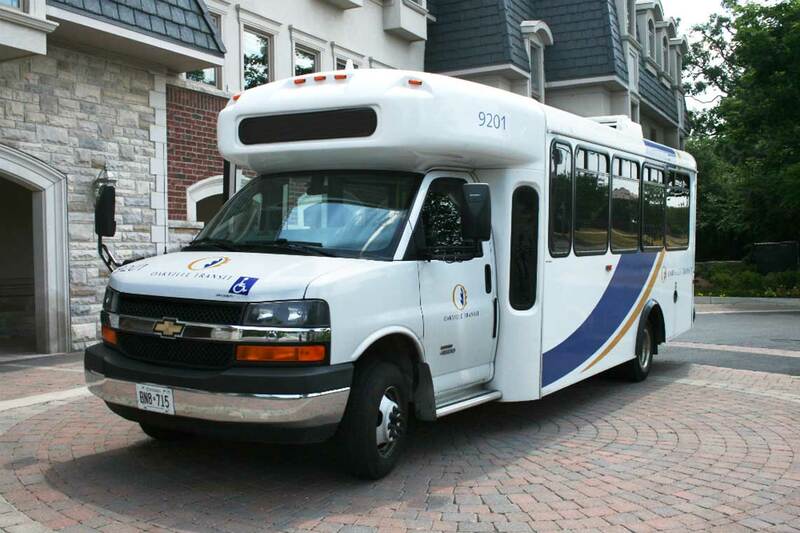 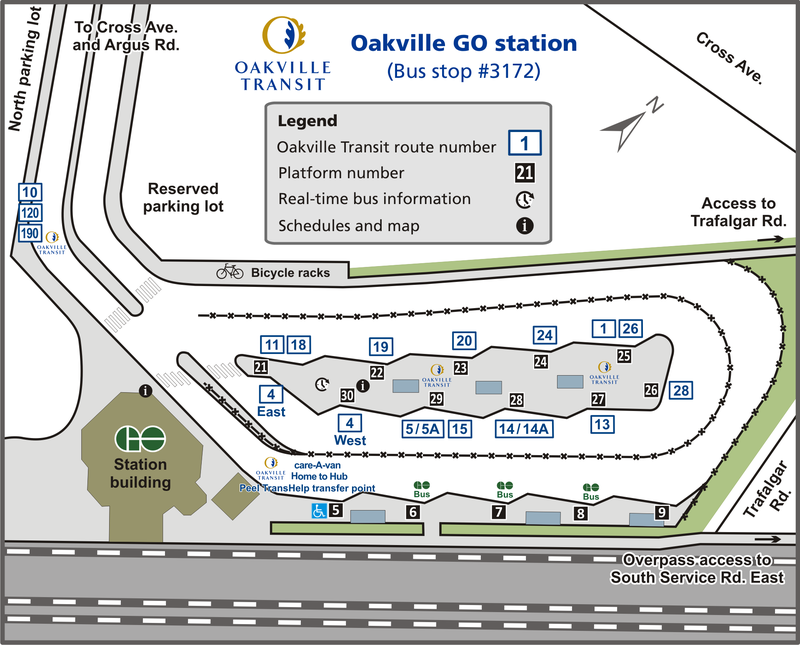 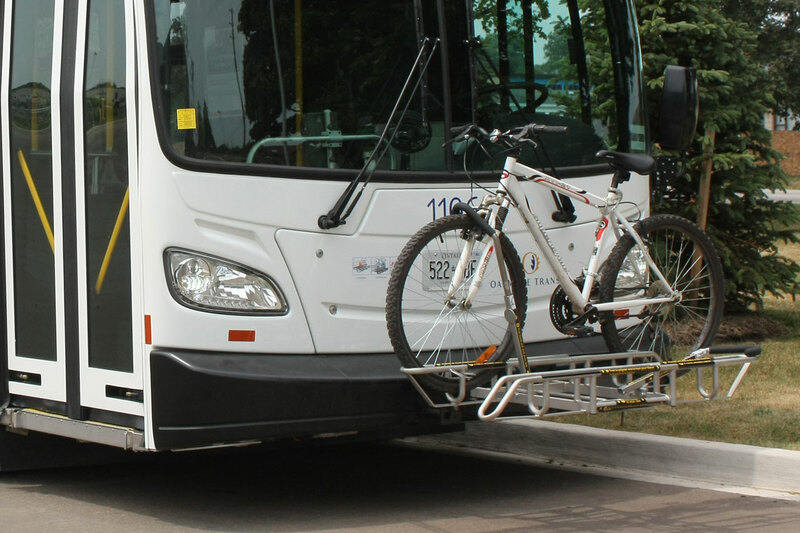 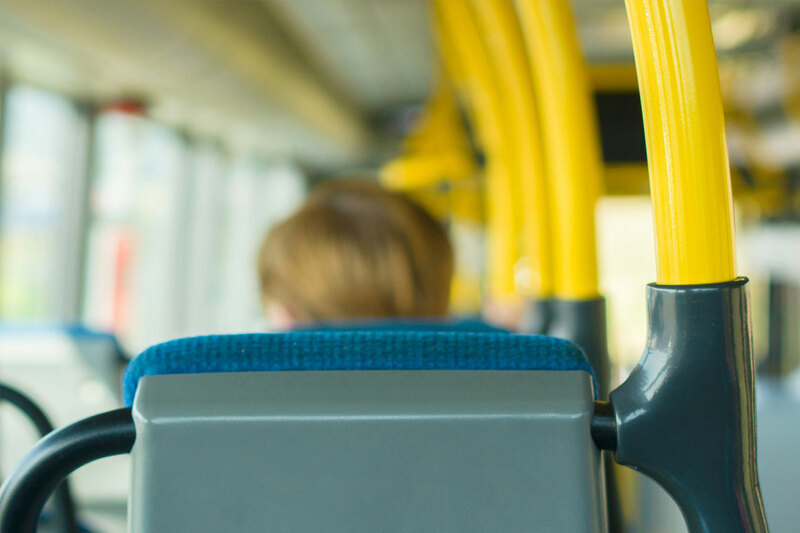 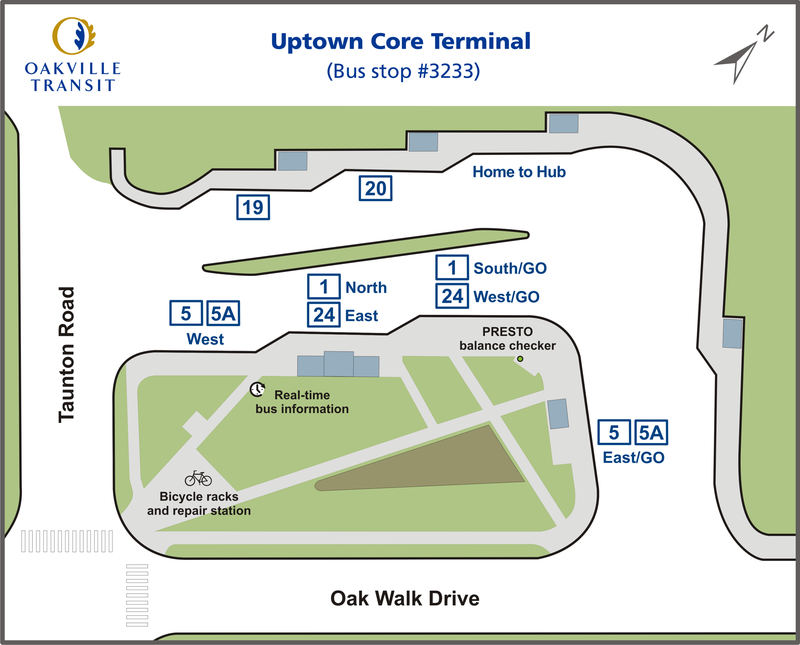 Bus routes are not assigned to specific bus bays at the South Oakville Centre bus loop. 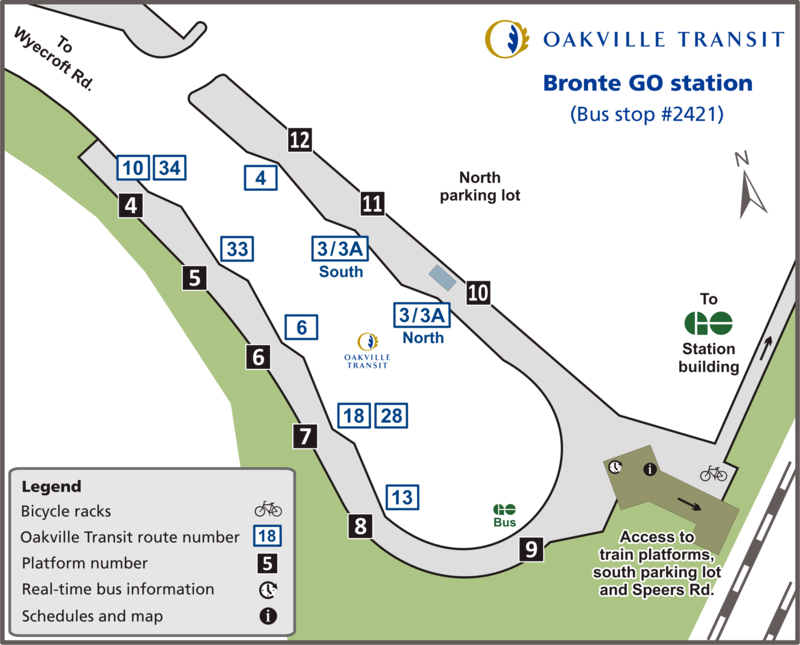 Buses will pull into the first available bay. 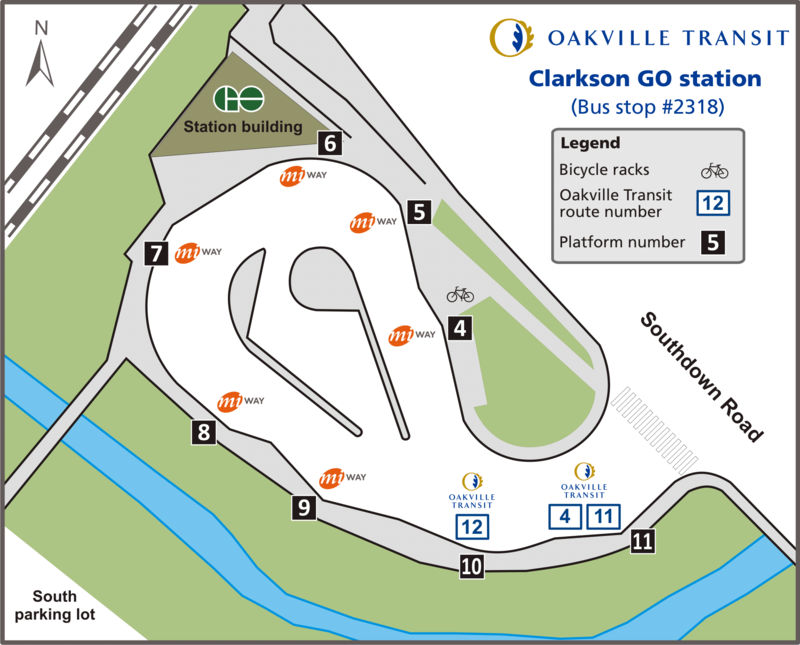 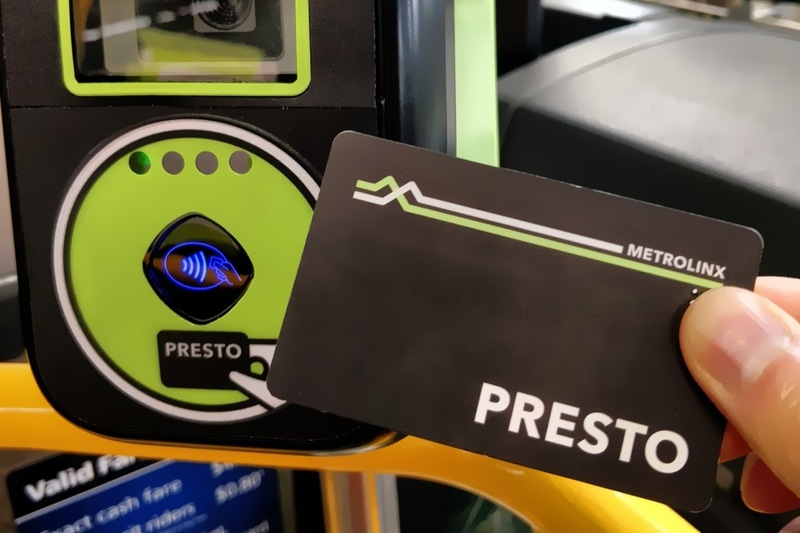 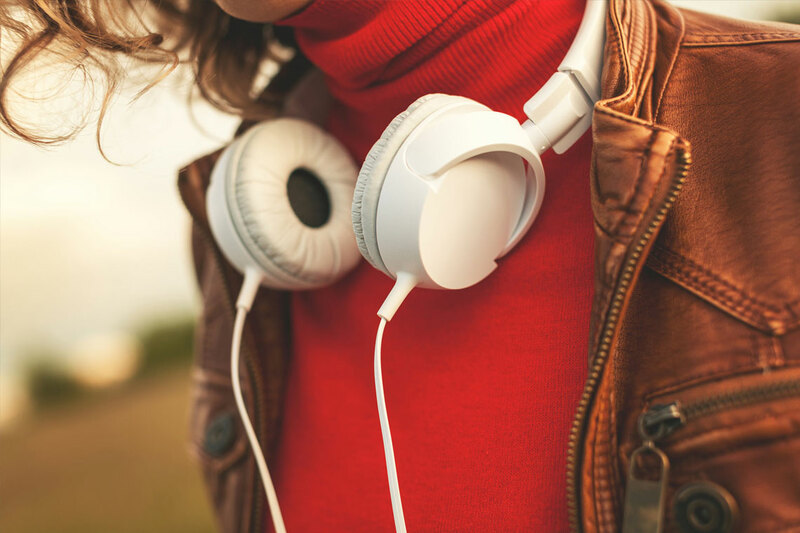 Visit connecting services for information on other transit services connecting to these stations.